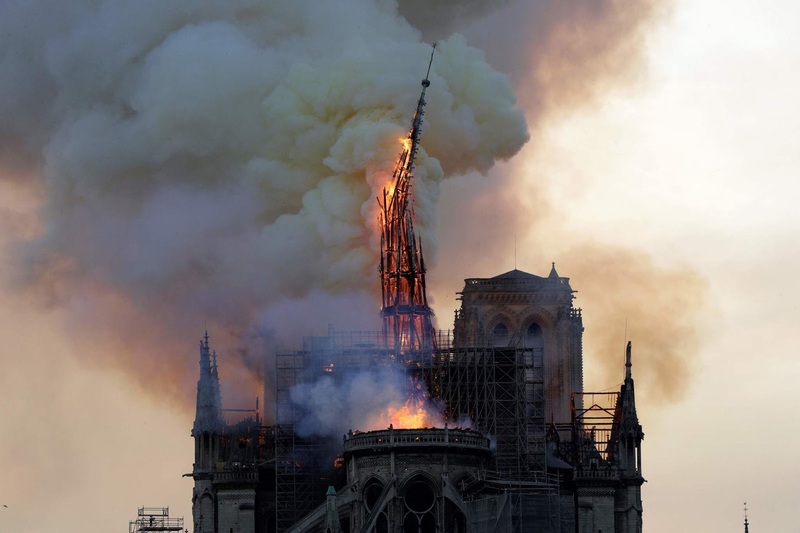 The Spire of Notre-Dame Collapses. 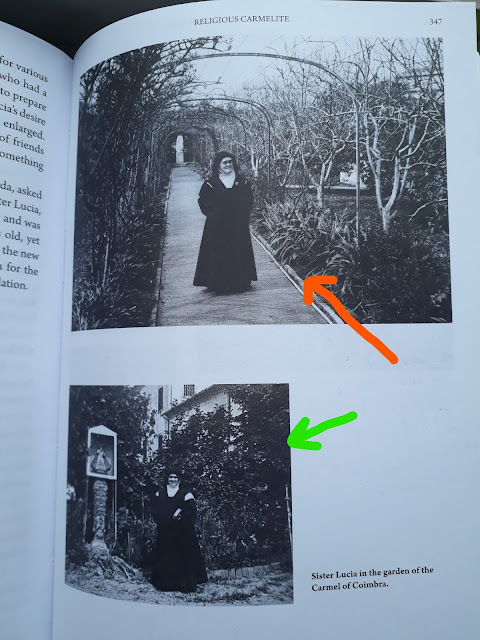 Dr. Chojnowski: The 3 prophecies above, all coming from the Secret entrusted to Melanie by Our Lady at La Salette, seem to speak about our own day. The most important thing in Paris has now catastrophically burnt, the stage is set or it is on-going, for massive civil unrest. Frenchman is already Fighting Frenchman and Italy does not seem to be far behind. Is this the time in which, "God will no longer by mindful of France or Italy, because the Gospel of Jesus Christ is no longer known." 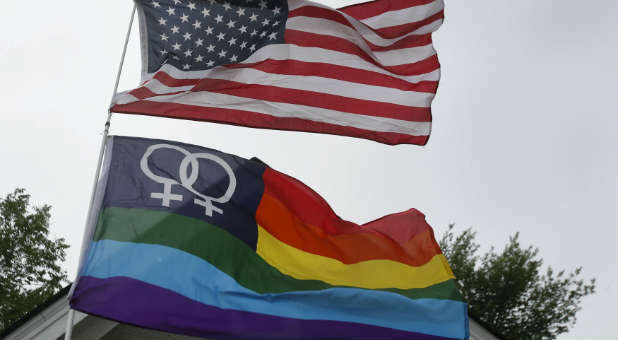 The wicked are not only "deploy[ing] their malice," but enshrining their malice towards God and Human Nature into the Law. And, what can we say, Rome has already lost the Faith. Done Deal. Cannot be denied. The Still Remaining High Altar with Statue of Our Lady of Sorrows. The Novus Ordo table stands amidst...and looks like, the rubble. Who can deny that the scenes from Paris today remind us strongly of our situation in our contemporary period. As Catholics we have witnessed the destruction of the edifice of the Catholic Church and Christendom, built up for 2,000 years. A catastrophic, life-threatening fire has broken out. It broke out in 1962 with the beginning of Vatican II. 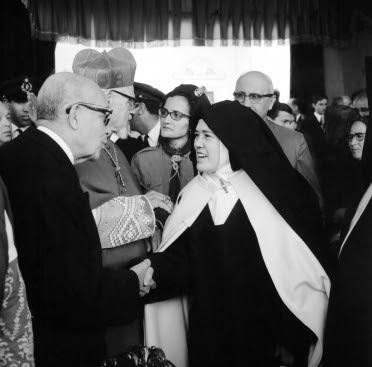 Within THE VATICAN II DOCUMENTS THEMSELVES, there were teachings and ideas which are destructive by their very nature and will consume and collapse anything and anyone unfortunate enough to get in its way. While the physical fire at Notre-Dame today consumed most of the interior of the church in 60 min., reducing it to ash, the faith and institutional life of Catholics has been reduced to ash over a 60 year slow burn. Reduced to ash none the less. What would we say to those who would insist that we stay within the burning and collapsing structures? As in Paris today, not even the firemen can stay inside. The flames were too hot and deadly. We can spray water cannons from the outside of the collapsing structure. But we dare not go in. Now those that pray must pray from outside, gazing at a safe distance at the inferno raging in what once was a place of repose and sanctuary. No more. Not for a while. Through the Mercy of Our Lord and the prayers of Our Lady, the valiant ones took out from the ruins the objects representing and presenting Our Lord to us. His Crown has been saved; the sacred cloth from the sainted king of France has been saved. The Kingship of Christ and Kingship amongst men, symbolized by the relic of the Crown of Thorns and the Cloak of St. Louis, have been rescued from the consumed structure, in order to satisfy and strengthen the Faithful. The high altar was preserved for another day. It will be gloriously used again. What is most important though is that FAITH still exists. It was shown on the streets of Paris today. 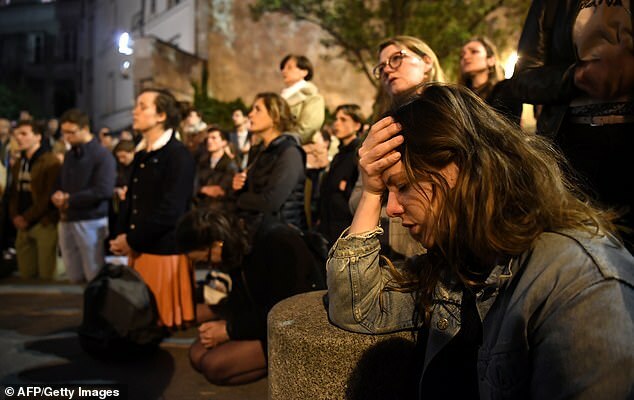 Some faith, a faith that recognizes our own profound dependency on God, was held up in the tears of the people of Paris today. Our God is the God of Reality. 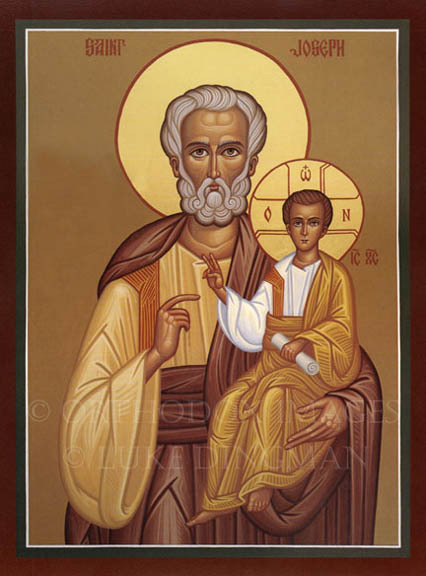 I have thought for decades now that only a shock back to the Real would turn the human mind back to God and His Holy Mother. Being-Itself, I AM WHO AM, the God Who died a gory death on the Cross, calls us to awaken to our condition. Awaken man, weep and pray on your knees. Awaken man, awaken and, by God, get OUT OF THAT BURNING CHURCH. We wait for you, kneeling in the street. 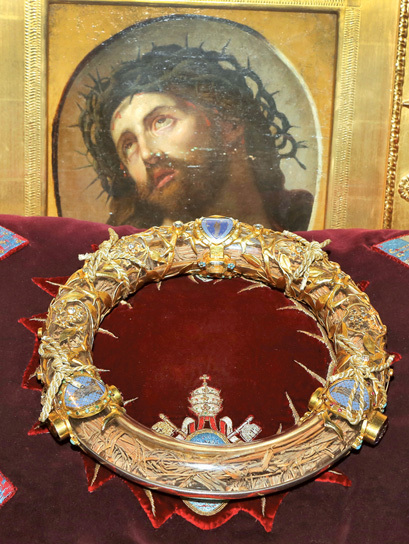 Crown of Thorns Saved from Paris Conflagration. Cloak of St. Louis Also Saved. 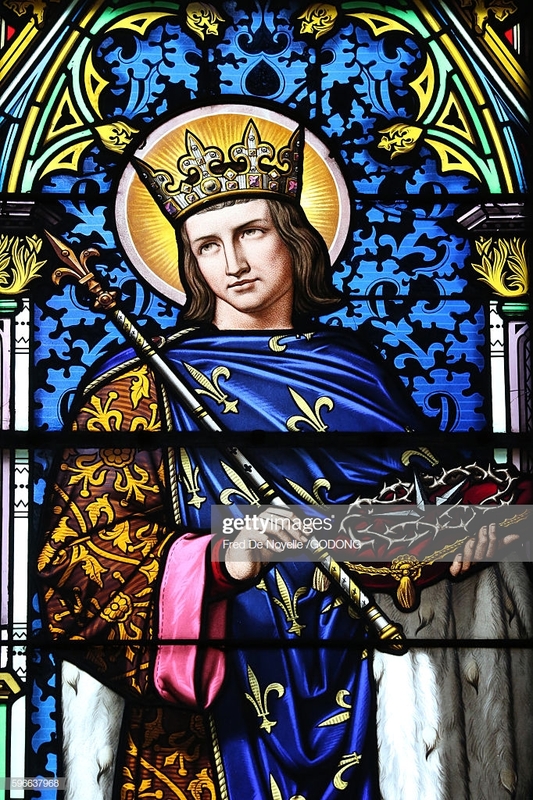 St. Louis Was the French King Who brought the Sacred Relics of the Passion to Notre-Dame. Praying Outside Notre-Dame, When All Hope Seemed Lost. 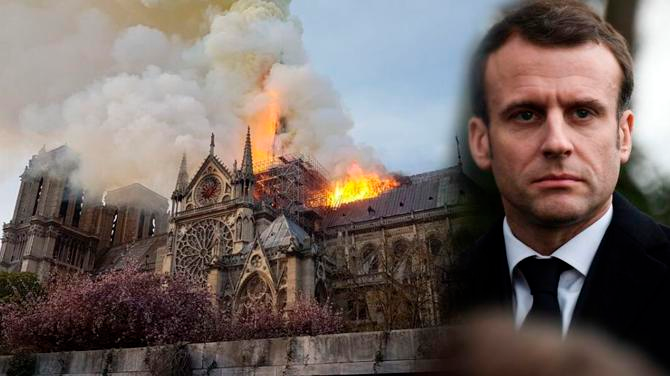 And Which French Freemason promises to "rebuild" the church of Notre-Dame? Remember the two or three Italian Freemasons who wanted to do the same thing? 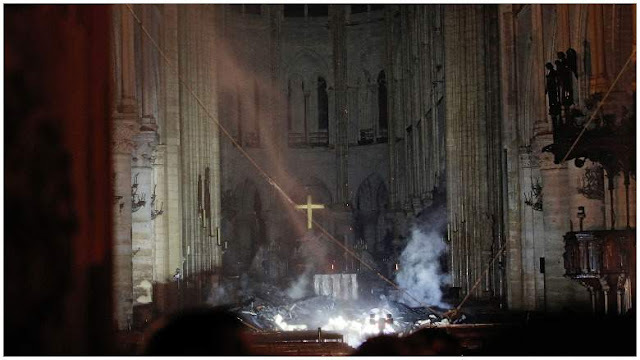 Marie Julie JaHenney also spoke of the desecration of the Catholic churches in France and the fires. All pointing to the New Order of the Mass and sin as the source of losing Faith. "What would we say to those who would insist that we stay within the burning and collapsing structures?" We would say, "Are you insane?" If we want to keep the Faith, we do not remain united to the destroyers of the Faith. If you choose to stay inside a burning building when there's a way out, then you're committing suicide. Likewise, anyone who remains inside the Church of heretics and apostates (i.e. 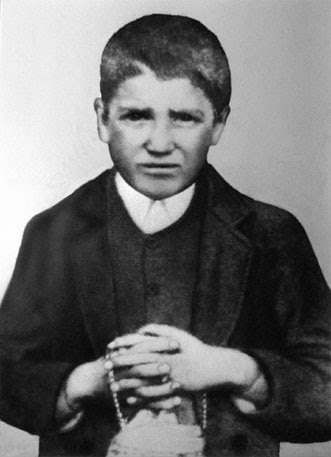 recognizing and resisting the false shepherds) will risk losing their souls.